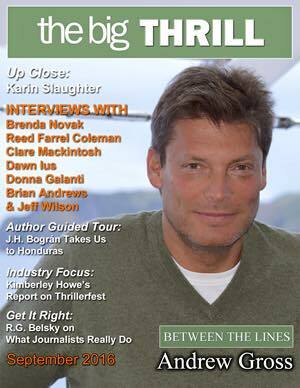 In the September edition of the e-zine published by the International Thriller Writers I was honored to participate in three feature articles. The first one, a guided tour of my beloved country. This time I refer to the capital city of Tegucigalpa and its predecessor Comayagua. I first read the work of Brenda Novak a few years ago, with the first entry in her romance series Whiskey Creek, now I was privileged to read an ARC of her newest novel HER DARKEST NIGHTMARE with a new set of characters. Now, this time a full time thriller. Clive Cussler and his Dirk Pitt adventures inspired my love for the thriller and adventure genre, it was probably him that I learned to always put a prologue. Also through his spin-off series I met the work of Paul Kemprekos, and now I read his solo work. THE MINOAN CIPHER is an excellent adventure thriller.